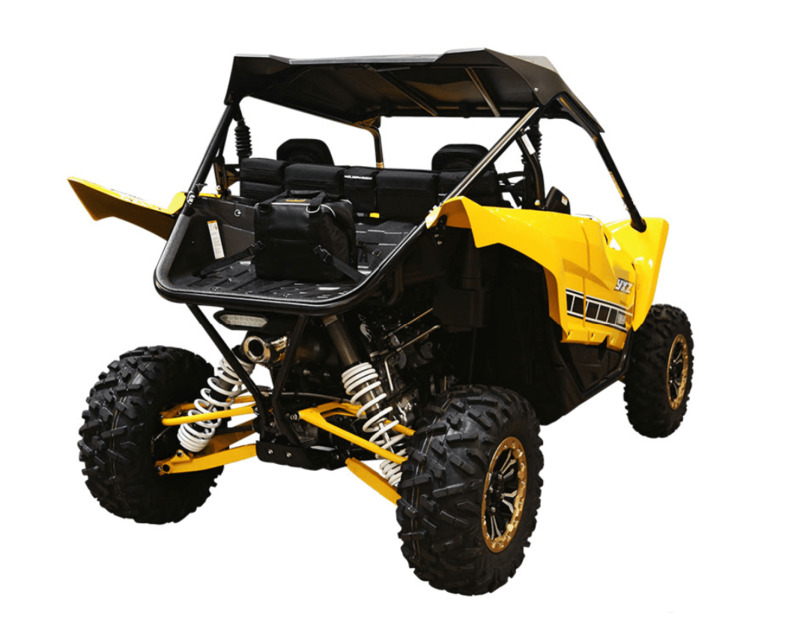 While you�re out tearing up the trails in your Yamaha Viking, Kawasaki Teryx4, RZR XP 1000 or other side x side, it is important to stay hydrated. Many coolers can be bulky, take up too much room in your machine, and are hard to tie down. At Side By Side Stuff we have the perfect accessory to answer all those cooler problems. 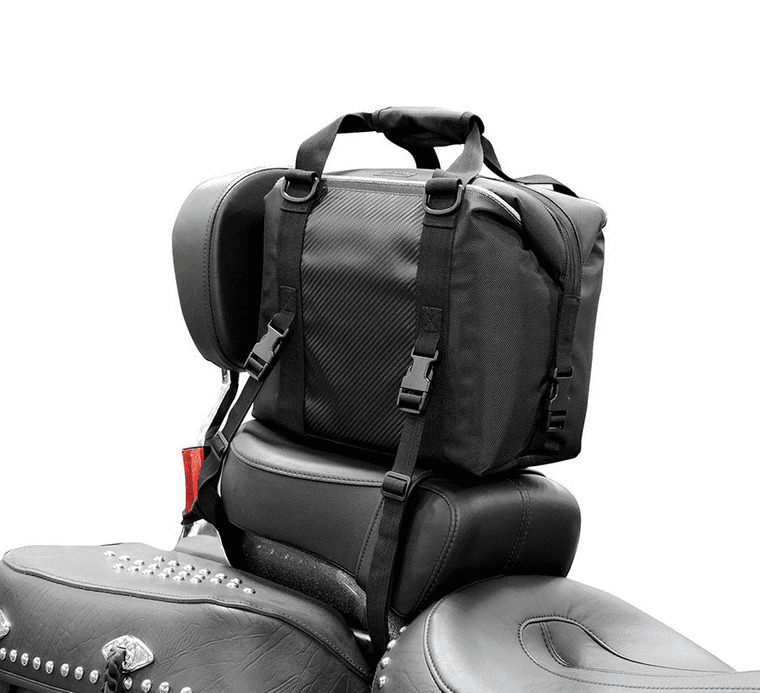 Next time you�re out riding, take a Rigg Gear 12 Pack Mountable Cooler Bag with you and never be concerned about your storage space again. 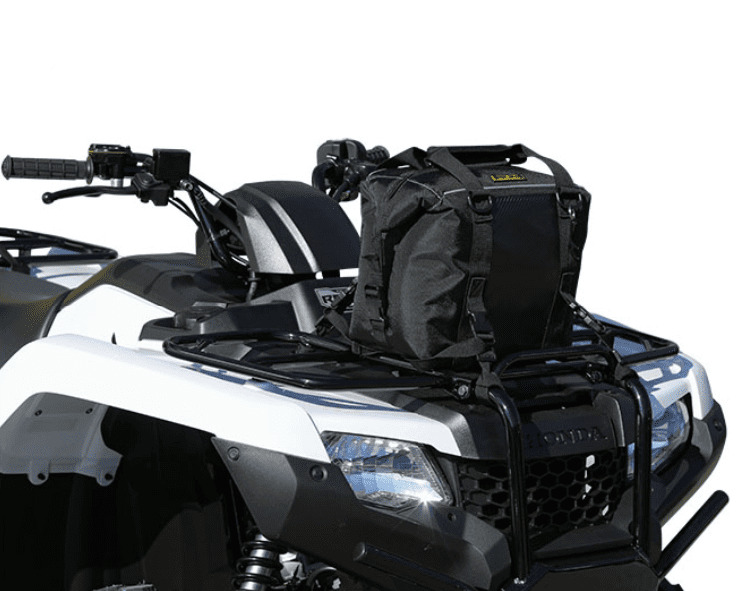 Forget the days of worrying about your beverages sliding all over your UTV with Rigg Gear�s 4-point, quick release tie down system that will keep the bag in place no matter what kind of terrain you decide to shred. The sun can be brutal on other coolers, melting ice quickly. This Rigg Gear cooler keeps your ice and contents colder for longer with high density insulation. 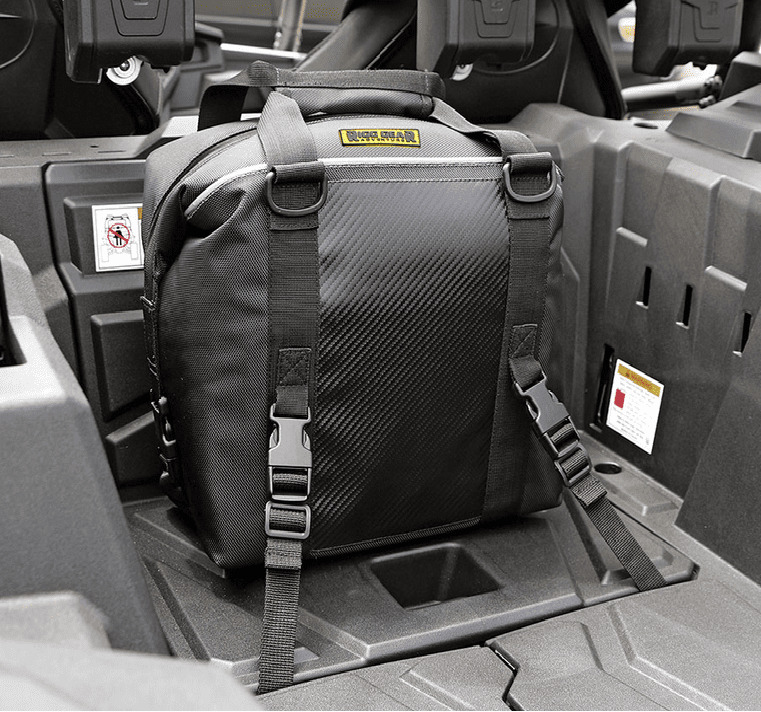 Other containers on the market can gather dust and dirt on the inside, but this cooler bag is designed with reverse coil zippers to prevent that from happening. The best part? 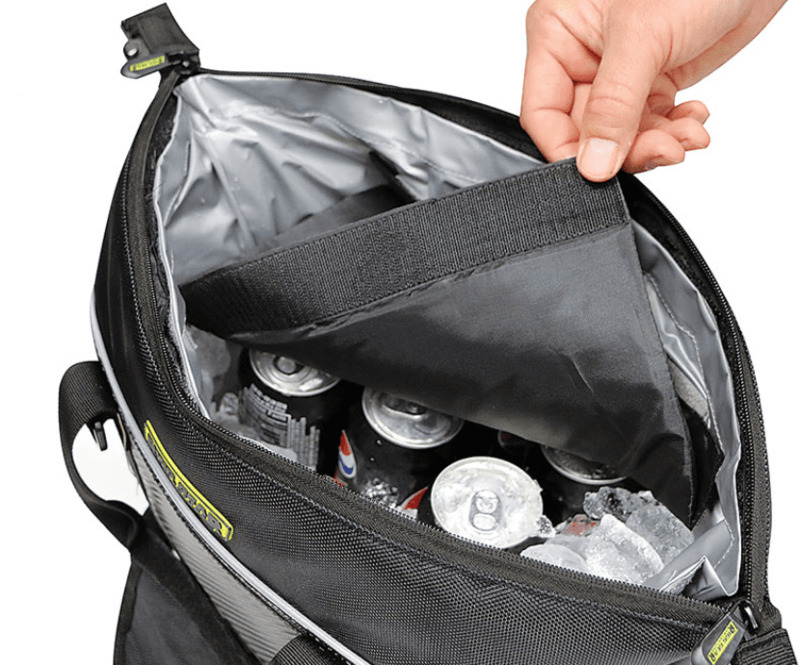 The zippered storage compartment can hold 12 cans with no problems plus the ice you need to keep your drinks or food cold on your next side x side journey!